Need To Sell Your Tri-Cities Washington House Fast? We buy houses in ANY CONDITION. There are no commissions or fees and no obligation whatsoever. Start below by giving us a bit of information about your property to get a cash offer in 24 hours or call 509-591-9196. We understand that life happens and sometimes you just need to sell your Tri-Cities house fast. Whether your going thought financial hardship or moving for new career opportunities we can help. We can close in as little as 5 days. We Buy Houses in the Tri-Cities Area For Cash whether they need repairs or not. Do you have a home you need to sell? Well, you are in the right place. Summit Development, formerly C&E Real Estate, specializes in helping homeowners who need to sell their homes quickly. Homes at any price. Call 509-591-9196 (Tri-Cities) or 360-667-5424 (Vancouver) or for more information. When you decide to sell your Tri-Cities (Richland, Kennewick, Pasco,) house to Summit Development, you get our promise that we’ll do whatever we can to buy your house in as little as 5 days if necessary! Since we are not depending on banks but buying your house cash we can close on the day of your choice to keep the process as convenient for you as possible. It doesn’t matter why you need to sell your house… we’re here to help. Whether you inherited your house, are being foreclosed on, have gotten divorced, or simply want to move – we’ll buy your Tri-Cities house quickly and for cash! Do you need to sell your house in the Tri-Cities Area? 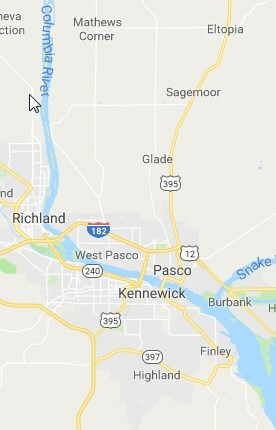 Do you own a home in Richland, Kennewick, or Pasco, Washington that you have been thinking about selling? Curious how much you could sell it for? Thought about how long it would take? Before you spend a lot of time or money attempting to get top-dollar for your Tri-Cities Washington home on the MLS, there are some other options you should consider. Specifically, selling your house quickly for a fair price in cash to a reputable Real Estate Company like Summit Development. Why sell to Summit Development? When it comes down to it, the amount of money you can get out of your home is directly tied to the time, effort, and yes, more money you are willing to invest. In many cases, Washington homeowners in Pasco, Richland, and Kennewick need to sell their home quickly or simply don’t have the resource or inclination to spend months and thousands of dollars in an effort to secure a top return. For homeowners who would rather get a fair price and save themselves the hassle of putting their home into top condition so they can list it for months of waiting for an offer, selling quickly for cash to Summit Development is a great option. We care about the neighborhoods and communities in the Tri-Cities area. 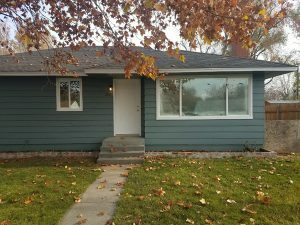 We are a reputable Real Estate Company based in Washington whose primary goal is to beautify and preserve the properties in Kennewick, Pasco, and Richland. So we don’t always look for houses in great condition or that are not in need of repair. So if you have a house you want to sell and you are concerned about fixing it up is what is holding you back, we should talk. When you sell your home to Summit Development, we act as our own bank. So when we make an offer, there is no lender to get approval from. This means we can close as quickly as a week from when we make an offer. How Does The Home Selling Process Work? All you need to do is fill out the form on this page or call our office and we’ll evaluate your property. If we are interested, we’ll let you know within 48 hours by making a no-cost, no-obligation offer. You read that right, we’d be glad to evaluate your house right now and let you know in 48 hours how much we’d be willing to pay cash without any cost or obligation to sell. If you decide to accept the offer, we can have your cash in hand in as little as 7 days. That means in just a little over a week form right now, whatever property you are dealing with can be completely out of your hands without any need to clean, repair, or deal with other issues. So if you own a home in any condition in the Tri-Cities Washington area and want to know what kind of fair offer Summit Development would make, fill out the form on our site or give us a call today. We buy houses in ANY CONDITION. There are no commissions or fees and no obligation whatsoever. Start below by giving us a bit of about your property to get a cash offer in 24 hours or call 509-591-9196.